Wonder how gods live their lives? 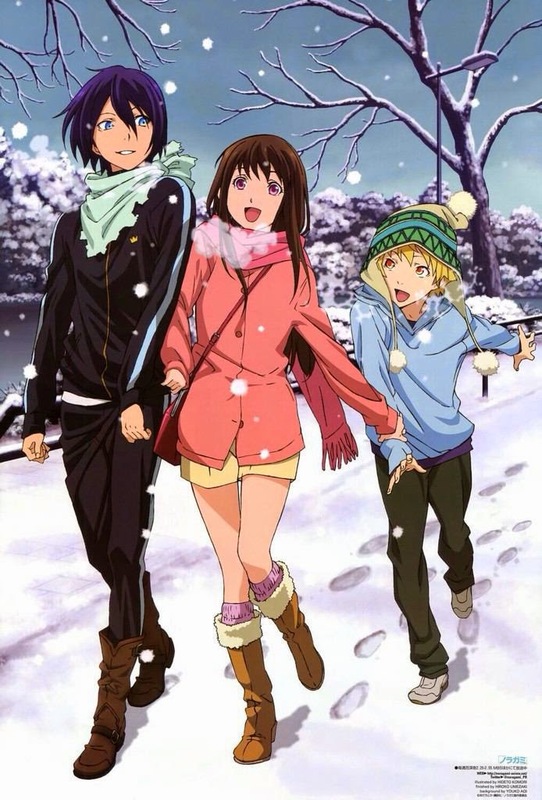 Sometimes its not as complicated as you would think...with the way "Noragami" presents it to us. Instead of something serious or overwhelming, "Noragami" shows us a lighthearted story about how a wandering god lives his life, and how he deals with his ups and downs. 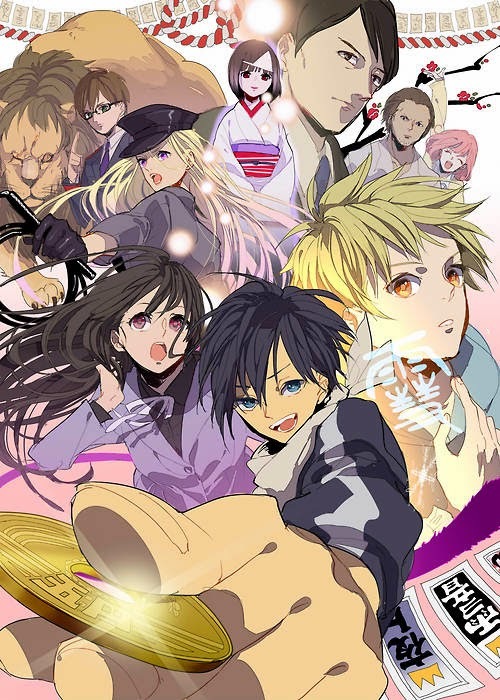 With a lot of emotion, some great characters, and wonderful storytelling, "Noragami" is one of those shows that you'll have to see for yourself. Its really not too special or unique, but it does enough to please the average viewer. It does its job nicely, and honestly seeing life through the eyes of a carefree god and his troublesome shinki might be a little bit more interesting than you think. 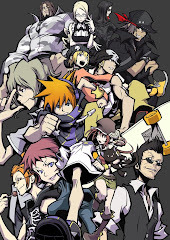 The opening song is "Goyia No Machiawase" by Hello Sleepwalkers. Not really anything too spectacular or crazy about it if you ask me, its kind of just....there. Its a simple rock song, but I figured a band like Uverworld or Rookiez is Punk'D would work better here. The ending song is "Heart Realize" by Tia, and its not too bad. Its what you'd expect out of a Supercell song, since Ryo composed it. Its lighthearted and simple...nothing much else. For something like this, its plenty good. "Noragami" has some solid ground work right off the bat. 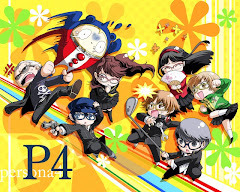 Its gives off a fantastic first impression and continues to do well all the way, though it never really IMPRESSED to the point of no end during any part of the show whatsoever. It just managed to maintain this steady pace of goodness...but never really stepped beyond that. What really carries it through though, are the great characters that are presented to us, especially the likes of Yukine and Hiyori. Yato is just awesome as he starts off and remains so all the way. Then there are others who just made the experience a lot more satisfying, but I won't go too in depth. The storytelling and pacing are excellent, though overall the anime did feel short. 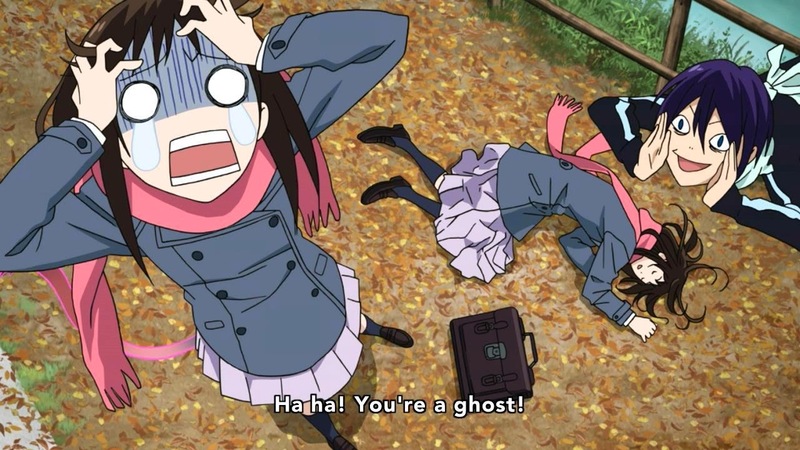 Of course, its funny, Yato and Hiyori are pretty damn hilarious when they need to be. That's right Yato, laugh more. The story features Yato, a Japanese god of war who wanders the earth. Yato is pretty pathetic for a god, he doesn't have his own shrine, and he goes around with his Shinki, Tomone, to grant the wishes of the people...earning 5 yen every time. With this in mind, its easy to tell that Yato is going to need a LOOONG time to finally earn enough for a meal...let alone a shrine. One day Tomone couldn't stand Yato any more, and she left his side as a Shinki. Without a Shinki, Yato is defenseless, and can't kill impurities. He sulks and sulks until he sees a job for him:to find a cat named Kami-sama. Of course, he just had to screw it up and he almost got ran into by a vehicle, but a human girl named Hiyori saved him. Hiyori, surprisingly didn't die, but instead her soul became loose, and she's regularly able to leave her body. She hires Yato to solve this problem for her, and he agrees...for 5 yen. This is how Hiyori became connected to Yato...for the rest of her life. 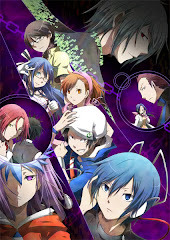 Its a pity how "Noragami" only had 12 episodes, but it wasn't as if that it ended prematurely. I think that it ended well...just that I do think that it had more room for potential, with the world that it has built with these 12 episodes. Let's just hope that there's more to come, if possible.